Sponsored by HUB, RNAO’s home and auto insurance provider, this award offers the recipient the chance to participate in a week-long, one-on-one placement with RNAO CEO Doris Grinspun. When Arlene Burla de la Rocha discovered she could combine nursing and teaching into a profession, she knew she had found her calling. The Durham College and UOIT nursing professor says that being able to teach first-year and fourth-year students is enriching, enjoyable and fulfilling, as she provides her students with the knowledge, skill and judgement they will need in their careers. A long-time member of RNAO, Burla de la Rocha has been instrumental in ensuring extensive incorporation of best practice guidelines in the nursing curriculum she teaches. She also promotes the role of nurse advocate to her students. “If we don't advocate for our students and the registered nursing role in the health-care system, nobody else is going to advocate for us,” she says. 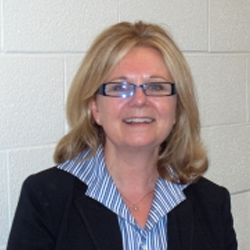 This one-week placement with RNAO CEO Doris Grinspun will allow Burla de la Rocha the opportunity to “…see how a transformational leader can lead a huge organization like RNAO.” She adds that from this experience, she hopes to gain insight and hone the leadership qualities she admires in Grinspun.